Meditation + Movement. We all want to feel vital and be full of energy. But if this is the case, why don’t we have it every day? Old patterns: physical, emotional and mental, tend to get in the way on our path to wellness. Krystyn provides tailored programming for speaking engagements specializing in practical mindfulness and meditation techniques to facilitate stress reduction and general well being. Her programs include the latest scientific research that support the benefits of meditation as well as interactive sessions that provide tangible takeaways. In addition to speaking engagements, Krystyn leads intelligently designed, all levels yoga and meditation sessions that focus on mindfulness, relieving stress and dealing with chronic pain. 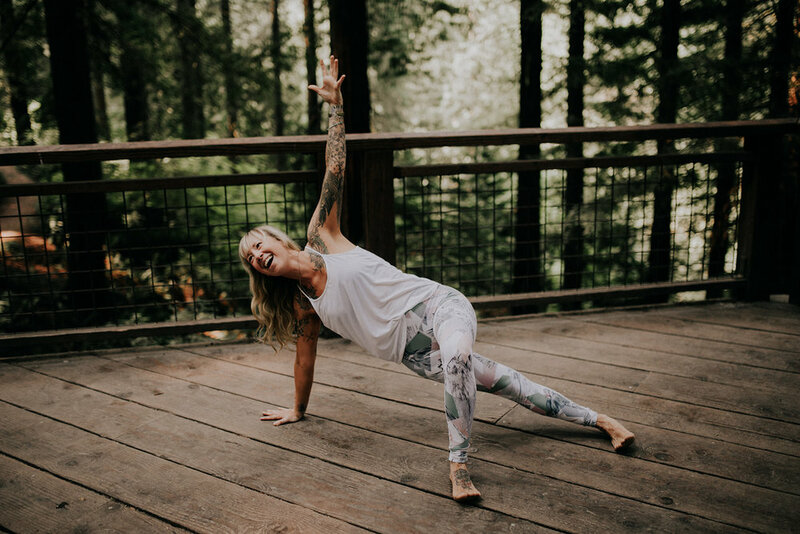 She holds a certificate of completion in the Yoga of Awareness For Chronic Pain, an evidence-based program sponsored by the Department of Anesthesiology at OHSU. Yoga + Mindfulness. Krystyn has been honored to provide educational programming for caregivers and those effected by bleeding disorders through organizations like CHES, as well as training others how to bring yoga and mindfulness to their children. She also teaches at a number of yoga teacher trainings across the country and internationally. Topics include: mindfulness for stress reduction, mindfulness for chronic pain, the neuroscience of pain, yin + restorative yoga, meditation, anatomy, business of yoga and more. Get outside. Krystyn believe that mindfulness and adventure are essential to internal navigation. "Nature provides a powerful backdrop to release the pressures of everyday life and get back to our most basic needs and desires." Through day hikes and weekend backpacking trips, Krystyn reminds people of their own innate ability to thrive and their connection with the outdoors. See below for more details on how she can facilitate an adventure for you. Newsletter - Sign up and stay connected. What a lovely day for you! Make the best of these privileged moments. They make good souvenirs for times when you’re feeling a bit under the weather. p.s. Goodies, surprises, and mysteries await you! I'll never sell your information and you'll get just one little email from me a month. I believe that mindfulness and adventure are the essential tools of internal navigation. Wellness is an active journey; into nature, the physical body, and ultimately, into your own heart. When you sit free from distraction in a forest, under a starry night sky, at the edge of the ocean, does your heart beat in happiness? Join me on the adventure of a lifetime. Learn how to navigate your own internal compass and have fun!